The J series was one of the reasons why Samsung Philippines is still on the top 5 smartphone brands in the country from various firms. With that, they still continue to beef up the said smartphone line-up with these two handsets. 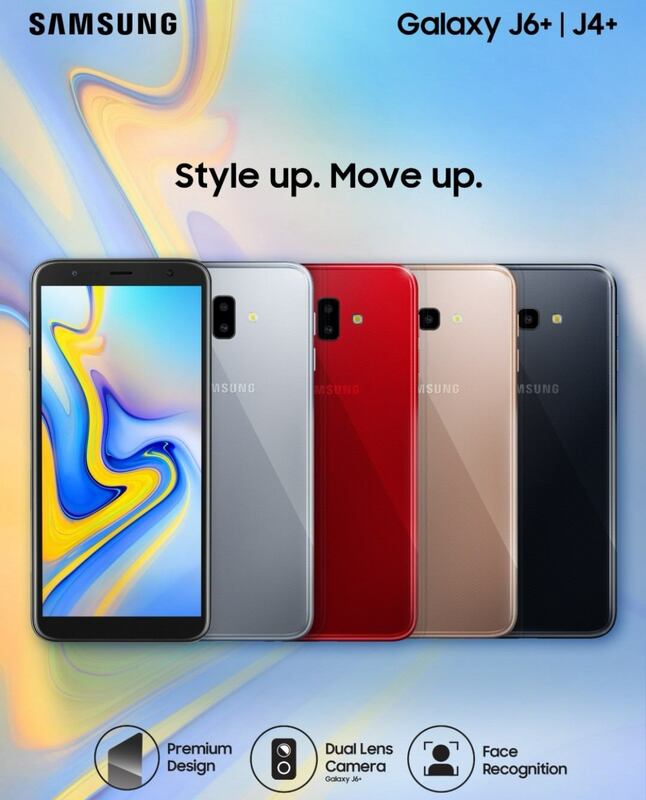 Both the Samsung Galaxy J4+ and Samsung Galaxy J6+ share most on the specs sheet: 6 inch HD+ display in 18.5:9 ratio, Android 8.1 Oreo, Qualcomm Snapdragon 425 processor, dual SIM, FM radio, Bluetooth, WiFi, GPS and 3,300 mAh built-in Li-iOn battery. The differences? Galaxy J4+ will have a single 13 MP main cam with f/1.9 aperture and 5 MP f/2.2 front camera while Galaxy J6+ will have a dual 13 (f/1.9) + 5 MP (f/2.2) main cameras and 8 MP f/1.9 front camera. For now, we did not include the RAM and internal storage just yet as there are two versions for each of these two smartphones.